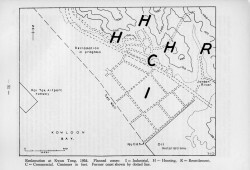 Hugh Farmer with thanks to IDJ for the report and photos. 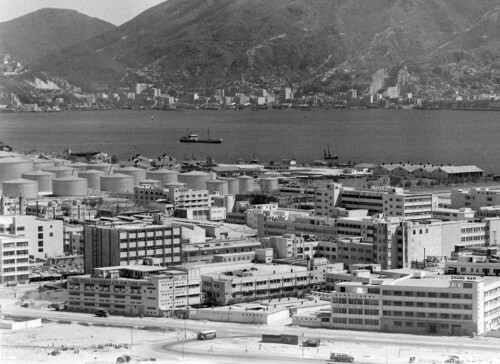 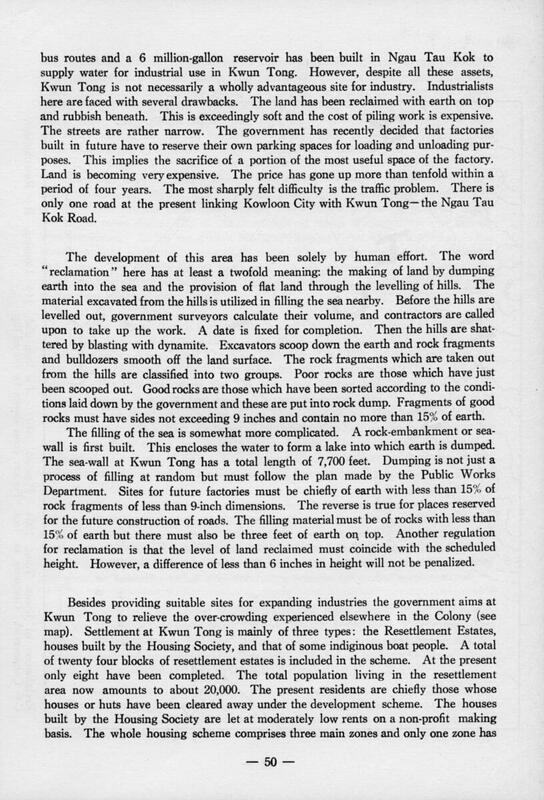 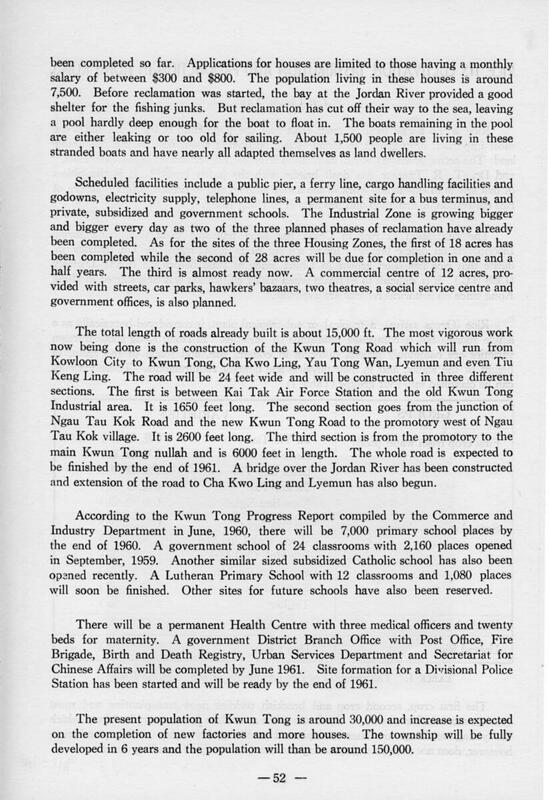 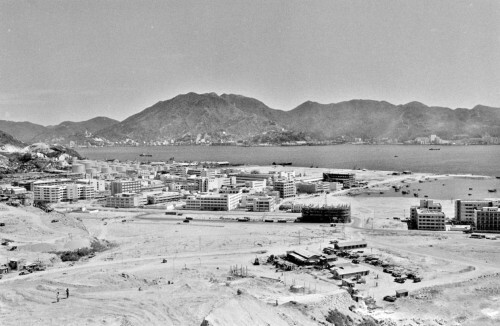 The following report from 1964 outlines the development of Kwun Tong from 1953 highlighting land reclamation which took place between 1954 and 1957. 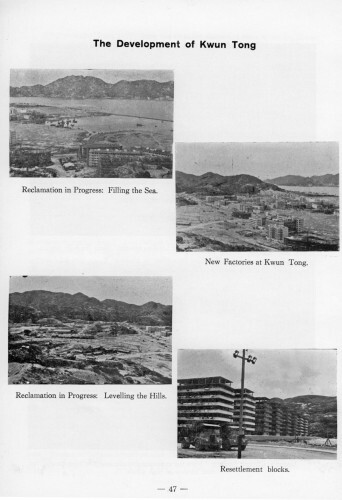 A total of 140 acres (about 60 hectares) of new land was created along the shoreline. 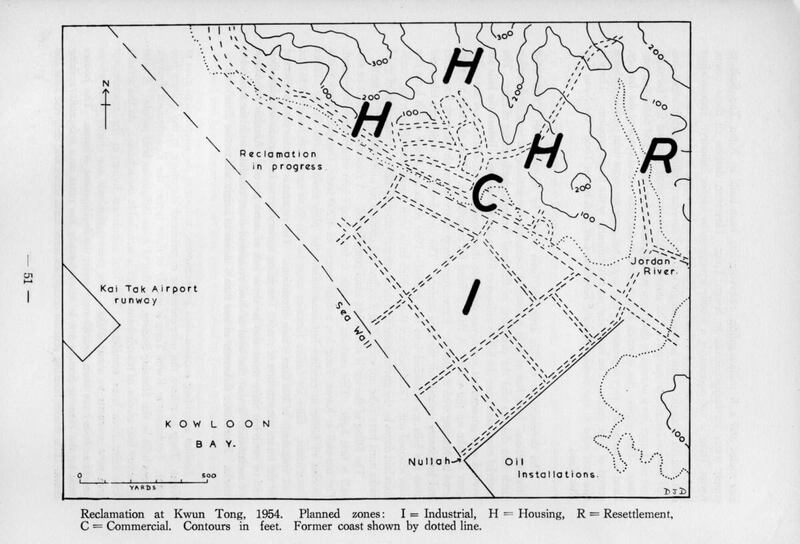 As the map shows much of this was designated for industrial use. 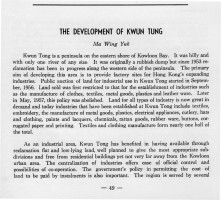 By the time of the report a wide variety of industries had been established in the area including textiles, clothing, hats, embroidery, the manufacturing of “metal goods”, plastics, electrical appliances, cutlery, paints and lacquers, rubber goods, buttons, corrugated paper and printing. The first two were of the greatest importance. 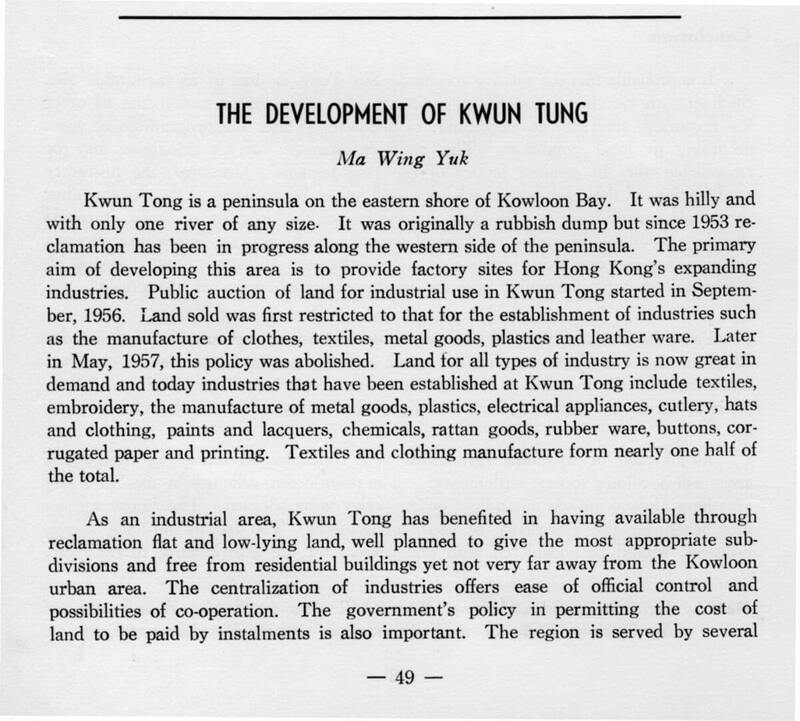 These images of Kwun Tong are from about 1961.